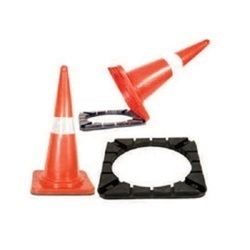 Leading Manufacturer of safety cone 750mm, cone connecting rod, safety cone message plate, plastic heavy duty chain, traffic cones 500mm and retractable traffic cone topper from New Delhi. 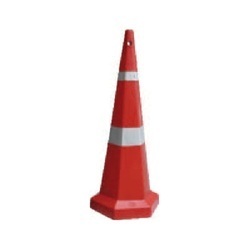 Description : Sleeve : 4 or 6. 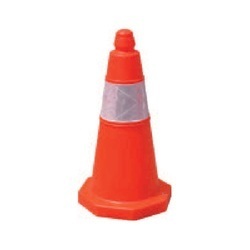 Additional Information : Square Base : 285 mm. 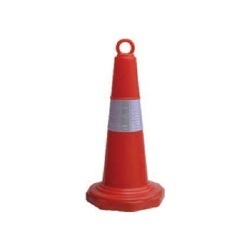 Description : Made of plastic and having two circle rings on their ends to hang on safety cones. It’s reflective in night and dark weather. Additional Information : Open length : 2 mtr | Close length : 1 mtr. 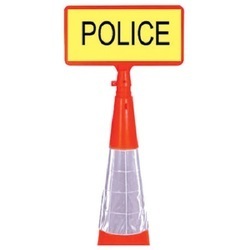 Description : Safety Cone mounted Message Plate used for a particular message like Police, Man At Work, Etc. Description : Plastic chain High Quality Flexible Plastic Material. Additional Information : Many other color as per requirement with 8 mm thickness. Belt Size : 3 mtr. 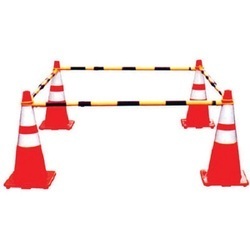 Description : Used with other Accessories like Light Bar, Reflector, Message Plate, Caution Tape etc. Additional Information : Sleeve - 8 Inch. 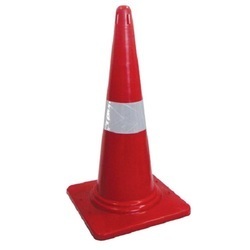 Description : Two part cone base and rubber, can be dismantle and fit easily. | Heavy Duty. 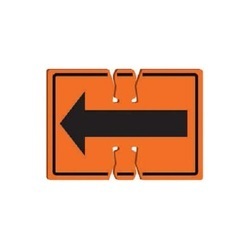 Description : Used to create separation or merge lanes during road construction projects or automobile accidents etc. Additional Information : Sleeve Width - 4 / 6 inch. 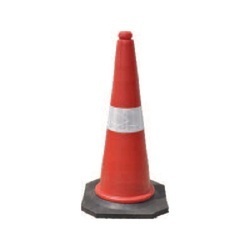 Description : Also available with heavy weight base fixed at the bottom, due to which it does not fly-off with fast traffic or winds. Additional Information : Sleeve Width - 4 inch. Model : PSSF700 (Sand Filled). 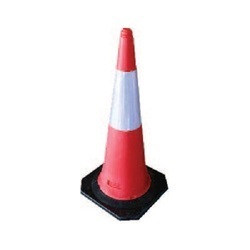 Description : Are usually cone-shaped markers that are placed on roads or footpaths to temporarily redirect traffic in a safe manner. 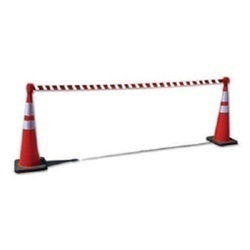 Description : We can use cone-connecting rod to make ti use as a barricade. Additional Information : Sleeve Width - 4 + 2 inch. Description : Message : Any Tape Of Message Can Be Planned On Reflective Tape. 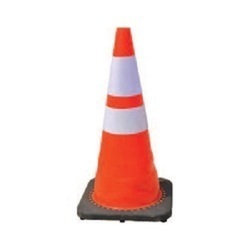 Additional Information : Use : Can Be Fit On Top Of Cone For Message Display. 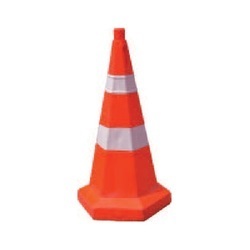 Looking for cones and chains ?